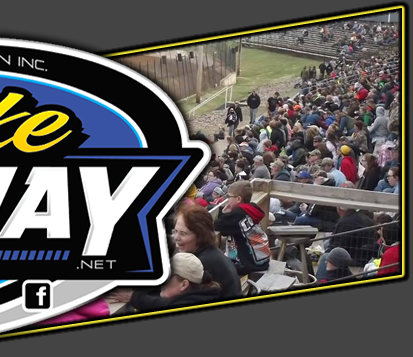 RICE LAKE, WI (May 3) – On a cold and blustery early May evening, with even a few sprinkles of rain from time to time, the Rice Lake Speedway was able to get their second Saturday night of racing completed as scheduled. The cry from many of the drivers at the completion of the program was to double the guard on the border as Minnesota drivers escaped across the state line with the big money in the two top divisions at the speedway. Don Eischens, who was a close runner up last Saturday in the Modified main, topped the field in the open wheel cars while defending WISSOTA national champion in the Super Stocks, Shane Sabraski, despite driving with an awkward looking brace on his right arm, ran away with the Super Stock finale. Other feature winners Saturday included Shane Halopka, Adam Soltis and Nick Traynor. The drivers were provided with a fine smooth two groove track Saturday and they responded with an excellent series of main events with four of the five features not decided until late race passes with only Sabraski dominating the Super Stock action. However, there were also some good battles in that race behind Shane for position. Eischens came from row three to win the nonstop main event for the Modifieds. Mark Hessler fought off the challenges of Keith Tourville to take the early lead as first Tim McMann and then Pat Hoffman challenged him. Meanwhile, Eischens was quickly moving his way into a challenging position using primarily the top side of the track. Along with him, Kevin Adams and Cory Mahder were also on the move racing up from the fourth row. Eischens caught Hessler for the lead but Mark didn’t turn over the spot willingly, as Eischens had to work very hard before finally sliding under Hessler in turn four to take the top spot. Hessler didn’t back down though, as he moved right back up behind Eischens as they continued to race for the lead. Meanwhile, Adams got past Hoffman for third and set off after the leaders who had a considerable edge on him. In lapped traffic, Eischens momentarily bobbled and Hessler got back beside him with only a couple of laps remaining, but Don was able to pinch off Hessler and hold on. Adams was closing the gap quickly, and just as Hessler went to make one last attempt on the final lap, Adams appeared to his inside. This gave Eischens just the advantage he needed and he pulled away by two car lengths to record his first ever Modified win at Rice Lake. Adams went to the top side on the final corner and nipped Hessler for second with Mahder and Hoffman completing the top five. After a first lap yellow for a stalled car, the Super Stocks too ran a nonstop main event. Willie Johnsen Jr. got the jump on Shane Kisling and pulled into the early lead. Sabraski quickly moved up from the second row after fighting off Jason Forehand. He ducked to the inside of Kisling for second and then repeated the move just two laps later to take over the top spot from Johnson. Once in front and with no yellows to slow his progress, Sabraski then gradually pulled away from the field. However, the battle for second and fourth were both good ones. Kisling tried for many laps to get past Johnsen, but Willie hung tough while behind them, Scott Lawrence has his hands full as Forehand, Eric Olson and Tommy Richards swapped spots and then looked to get by him. With only a few laps left, Kisling was able to duck under Johnsen for second. Willie stayed right with Shane and challenged to get the spot back, but Kisling then fought off all challenges to come home second behind the strong running Sabraski. Lawrence maintained fourth with Forehand next in line. If not for a late yellow flag, there might very well have been a different winner to replace Soltis as the Street Stock winner, but he was able to hand on and fight off Ron Hanestad to take the checkers. After a rather slow start with two yellows in the first lap, the Streeters hunkered down and put on some of the closest side by side racing of the evening. Soltis was able to take the top spot away from Kolby Kiehl but he had a six pack of cars right behind him. Scott Clark, Josh Amans and Danny Richards were battling in tight formation and running side by side. Hanestad tried the outside line and it initially didn’t work as he slipped back to the fifth spot but then slowly but surely, he started to gain momentum on the high side and be began a charge back up through the pack. He drove past Richards and then Clark and pulled up beside Soltis as the laps ran down. Hanestad edged in front of Soltis coming off turn four with three laps to go but just as it appeared he had cleared Adam for the lead the yellow flew for a two car spin in turn four and the pass was negated. A three lap sprint to finish after a single file restart saw Soltis make his car as wide as possible as Hanestad tried to find a way by. Clark was also pressuring on the low side as both drivers sought a route past the leader. However, Adam remained strong on the final circuits and drove home for the win with Hanestad nipping Clark by inches for second. Richards finished a strong fourth with Amans next in line. Halopka used the Hanestad line around the outside to nip Grant Southworth with two laps to go and win a thrilling Midwest Modified feature race. A big field of Midwest Mods took the green flag and other than a couple of minor spins early in the event, everyone put on a good show with twenty three of the twenty five starters still running at the end with all on the lead lap. Southworth and Tyler Luger battled early with Grant eventually edging into the lead as he aimed to set WISSOTA history by becoming the first crate engined winner in sanctioning body history. Tito and Ryan Viltz battled hard for third with Halopka a part of that group. Halopka aggressively drove to the high side of the track and was able to start to edge ahead of the pack for third and then second as he put Luger in his rear view mirror. Southworth was battling hard for the lead, and Halopka had his difficulties trying to get past the Bloomer driver. While they raced for the lead, Mike Truscott was in the midst of another charge to the front, such as he had accomplished last Saturday night. Halopka continued to try the high side of the track and finally, with only three laps to go, he was able to get up beside the leader and they drive deep into the corner and take over the top spot. He then gained a couple of car lengths on the final two laps to take a hard earned victory. Ryan Viltz, driving with a motor borrowed from his brother, finished in the third spot as he held off Truscott and Sketter Estey for that position. The Pure Stocks didn’t disappoint either, as their main event was a dandy that saw them run nonstop from green to checkered with a seven car pack battling all the way to the finish. Bob Thompson was the early leader but he was then split by Jay Folz and John Erickson who then battled for the top spot. Traynor ducked to the low side and replaced Erickson for position and he and C. J. Wagner then all fought for the lead. Meanwhile, last week’s winner Jason Havel was on the move from eighth starting position and soon joined the pack battling for the lead. First Traynor and then Folz would take the lead as they battled back and forth with Wagner, Havel, Thompson and Erickson all clawing for the front spot. Coming for the white flag, Traynor took the lead while Havel made a bold move to the high side of the track. Traynor held on for the win while Havel was able to squeeze past both Wagner and Folz to finish second while Thompson settled for fifth. Awards for the Best Appearing Cars were handed out before the races and the winners were Hunter VanGilder, Amans, Mike Schnider, Forehand and Mike Anderson. Regular racing action continues next Saturday night for all classes with hot laps at 6:30 p.m. The next racing action at the speedway will be this coming Thursday, May 8 when the USMTS Modifieds will be at the track. Top national drivers stars will take on the best of the local and regional drivers with $2,000 on the line for the winner with everyone looking to put a stop to Rodney Sanders winning streak as the Happy Texas driver has been hot of late on the touring circuit. 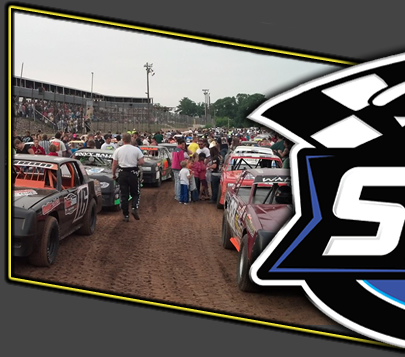 Also racing Thursday will be the Pure Stocks and the WISSOTA Midwest Mods. Race time is 7 p.m. 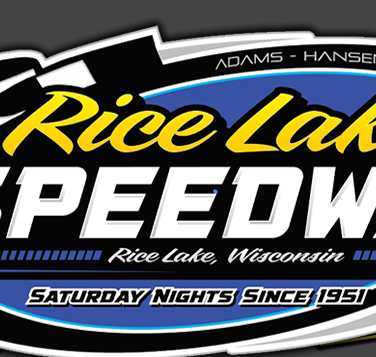 Check the speedway website and Facebook page for updates at www.ricelakespeedway.net or call Dave Adams at 715-205-2861.